We also compound pediatric & veterinary medications. In a traditional pharmacy setting the patient presents a prescription written by a licensed prescriber. The pharmacist would then count out your prescription with commercially available medication. 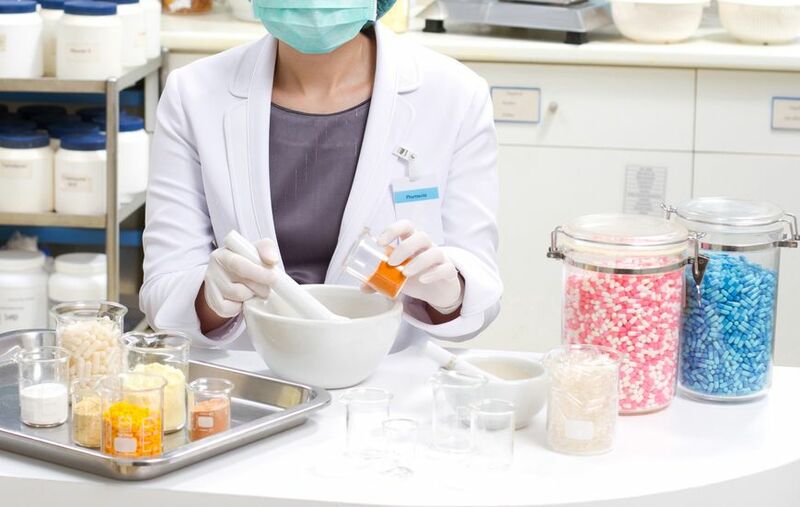 At a compounding pharmacy the drugs which are prescribed aren’t commercially available. They are made from raw chemical and mixed into a custom made dosage forms made specifically for each patient, as deemed appropriate by the prescribing physician.